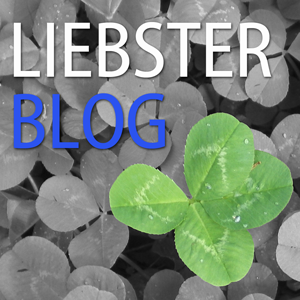 My original intention for this post was to focus mainly on the adaptive water skiing clinic I helped with as well as talk about the MRI process we were going through with Treyton. Then we experienced a loss in our family; he deserved a few words as well. That event did make it tough to write the entire post simply because of the emotional sate in my house. My weekend started on a high-note because I had the chance to help with an adaptive water ski clinic that was offered through the Down syndrome association of West Michigan. This is the type of activity you would be helping to support with a donation to Treyton’s Posse Step Up for Down Syndrome walk. The clinic was conducted by the Kentwood Parks and Recreation Department and held at Reed’s Lake. It was a fun event to be part of. I had no idea of what to expect when I volunteered to help with this clinic, I didn’t care what I would be doing, it just sounded like something that would be a good experience. I was really looking forward to being around some older kids with Down syndrome. The event did not disappoint and I want to make sure that the members of the Kentwood Parks and Recreation Department’s inclusive program did an amazing job with the skiers. I was impressed. I think one of the most enjoyable parts of the day was the amount of joy and happiness that was present. The kids were excited, the parents were happy to see their kids do something new, and the workers were having as much fun as anyone. It was neat to see the kids have the opportunity to participate in something most of them would not have been able to do otherwise. It reminded me of the last time I was at a cottage and people were trying to water ski for the first time. There was some fear, then relief, cheering, and finally high fives and smiles all around. It was certainly a high point. When you support Treyton’s Posse as we do the Step Up for Down Syndrome walk you support activities like this one. You will be helping to give kids an opportunity to experience something would not be able to experience without an organization like the Down Syndrome Association of West Michigan. There are good dogs and then there are amazing dogs like Petey. This dog was the most patient animal I have ever seen. I remember when our oldest girl Bailey, now 15, would put him on a leash in our house and walk him around. She was only 3 or 4 at the time and Petey would just tolerate it. Petey was there for all three of our girls and then he welcomed Treyton home, our first and only boy. I remember coming home from work when Treyton was just a few weeks old and rushing to hold my baby boy. I heard a weird sound and realized that Petey was sitting on the chair across from me whining. He was feeling a little left out. I gave Treyton to his mom and Petey jumped up on my lap. Petey and Treyton became instant friends. 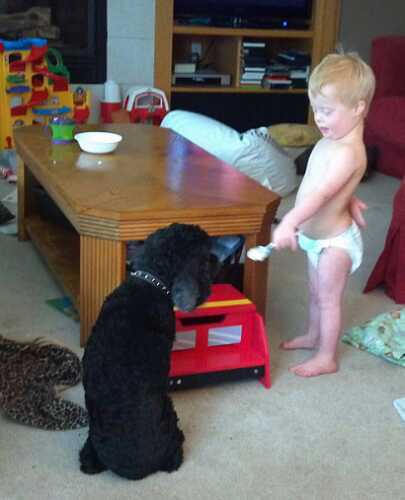 Petey was careful around Trey when he was an infant. I remember playing with Petey and his toys. I would get rough with the dog and get him hyper then put the toy on Treyton’s stomach. Petey would stop and just look at the toy. After a few seconds he would bark because he wanted that toy so badly but he would never take it from the baby. Pete was a good dog. Treyton and Petey would play together for long periods of time. Before Treyton could walk he would grab Petey’s toy, through it, and then race Petey on all fours to get to the toy. If Petey would beat Treyton to the toy Trey would bump Petey with his head. If Treyton would beat Petey he would burst out laughing as Petey barked at the toy. Petey was a part of our family that we had to say good bye to this weekend. He was getting old and was not as active as he used to be but we sure did not expect him to get sick so fast. We woke up Sunday morning to a mess that the dog created because he lost control of his system. When I took him outside to go to the bathroom Petey could hardly walk and then it was like a drunken sailor. Bailey and I took Petey to the animal hospital where they discovered that Petey’s body was destroying his own red blood cells. It was not an easy decision to say good bye to such a good friend. Multiple kids means we parents need to divide and conquer. 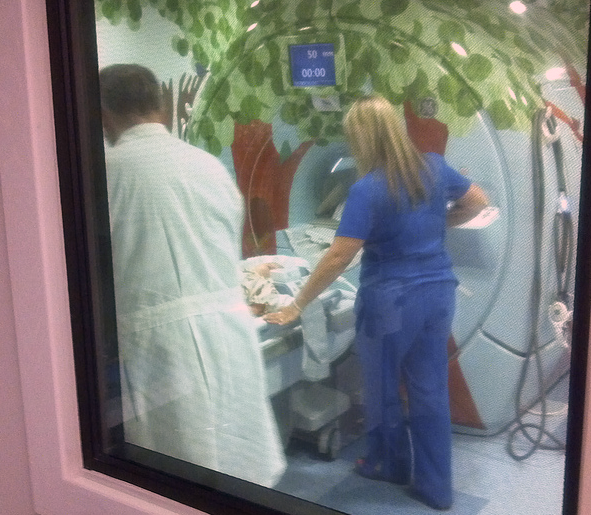 My job this morning was to wake Treyton and get him to the hospital by 7 AM for an MRI. As I have mentioned before, about 15% of kids with Down syndrome are affected by a condition called atlantalaxial instability. When a child with Down syndrome turns three it is time to get some x-rays done. Treyton’s x-rays indicated that he did have the extra space between the first and second cervical vertebrae so they ordered an MRI to take a better look. That is what we get to follow-up the death of our dog with. Treyton is such a good kid. I woke him up from a sound sleep and put him in the back seat of my car. As I drove down the road I would look in my rear view mirror to see the little man smiling at me and signing dad. At the hospital we did the familiar walk across the bridge to the registration desk. It was all “old hat” for Treyton, that is, until they could not get the I.V. started in his hand. Trey is a tough little dude. He just clinched his teeth as the nurse poked his little hand to no success. The one bright side was that Trey got a Big Bird Band-Aid on his hand for the failed attempt. After checking the inside of his elbow for a good vein the nurse moved down to the top of his foot. This hurt Trey. He tried to fight through it and focus on watching Toy Story 3 but it hurt too much and he grabbed around my neck and squeezed me as he cried out. It only lasted a few minutes but I am sure it seemed like a lot longer to him. After talking to the doctor I carried him down the hall to the MRI room. There I showed him the big MRI machine that was painted to look like a tree. I asked him if he wanted to go in that and he shook his head yes. It looked pretty cool to him. They gave Trey the first dose of medicine and he started to fall asleep immediately. I laid him down on the special gurney with the head brace and walked away. I waited for him in his room. Right now Trey is sound asleep. They took the I.V. out of his foot, thankfully, so the only thing hooked to him now is the pulse-ox monitor. Trey is a “tired little tiger” just like it says on his hospital gown. I was told it will be 3 – 5 days before we get the results from this MRI. I am keeping my fingers crossed because this could be something that really limits what Treyton will be allowed to do in life or may require a surgery to fuse his vertebrae. Neither is a good option. Until then, I will be heading back to work this afternoon and try to get caught up from being out of town last week for a trade show. Tomorrow is Lindyn’s first day of second grade so we will have a classroom visit this afternoon for her and an exciting day tomorrow. The other girls and Treyton do not go back to school until next week. Leigh Ann is doing her best to figure out the transportation schedule because Bailey has to be at school by 5:30 AM three times a week for swimming and then Taylor and Lindyn need to be at school by 7:50 AM but they are at different schools. I have also been told that prior to the rest of the kids going back to school we will be looking for a puppy. I am not sure I am ready for that just yet, we will have to see. Awesome. I am so proud of Rob and Lee Anne for the wonderful parents that they are. Treyton is a blessing that is blessed by having such wonderful parents. Being a teacher, Lee Ann has been able to teach Treyton and help him develop so well. Rob doesn’t treat him any different than he would if Treyton were born without a dissability. You are all an inspiration. Thank you for this site and all the updates. Prayers to all.